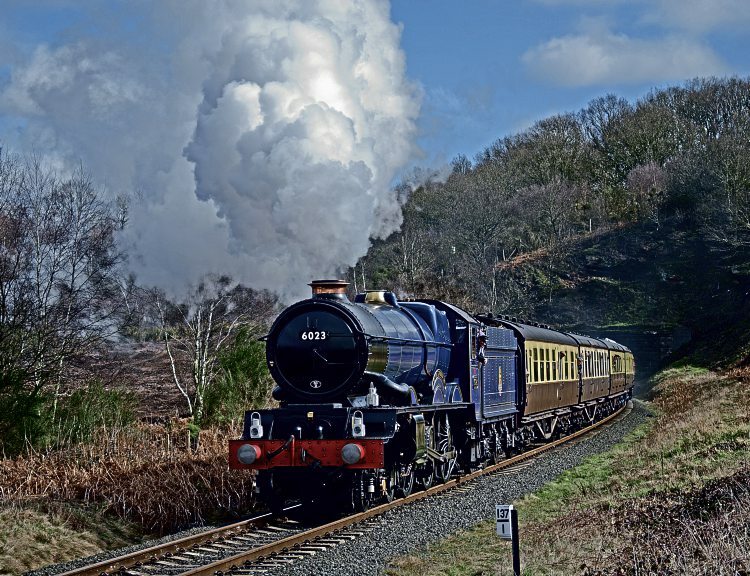 THE Gloucestershire Warwickshire Railway’s annual Cotswold Festival of Steam next month will be the first gala to include the new extension to Broadway, and The Railway Magazine and its sister title Heritage Railway will be there as event sponsors. Up to eight locomotives are expected to be in steam throughout the May 26-28 event, with the Great Western Society’s blue ‘King’ No. 6023 King Edward II confirmed as the first guest engine. The the event has an umbrella theme of ‘Give my regards to Broadway’, so it seems only fitting the ‘King’ is starring to add a royal presence to the highly anticipated event. No. 6023’s presence will also enable the GWSR to turn out three different examples of GWR 4-6-0 types during the event, the ‘King’ reuniting with ‘Modified Hall’ No. 7903 Foremarke Hall (they last met at last September’s Old Oak Common open day) and ‘Manor’ No. 7820 Dinmore Manor. The Great Western theme continues with resident ‘28XX’ 2-8-0 No. 2807 and ‘42XX’ 2-8-0T No. 4270, the latter subject to availability if repairs have been completed at LNWR Heritage in Crewe. Home-based Bulleid ‘Merchant Navy’ No. 35006 Peninsular & Oriental S. N. Co is also expected to be in service for the event, taking the roster up to six locomotives. Next Post:Snow joke as winter weather closes railways… again!